With this stylish glass, your shining star can enjoy their special drink in a special glass! 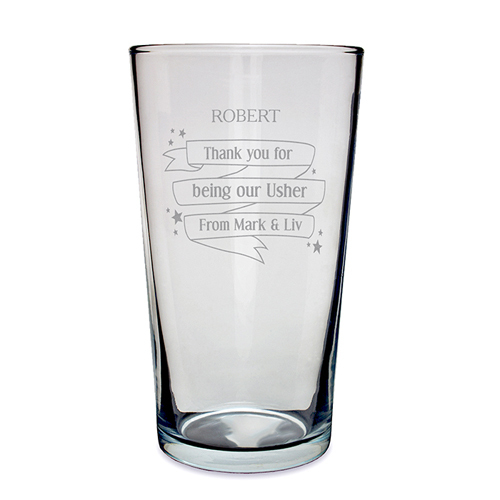 You can personalise the front of this Shining Star pint glass with 4 lines of text up to 15 characters per line. All personalisation is case sensitive and will appear as entered. Personalise with 4 lines of text up to 15 characters per line.